Many photovoltaic inverters manufacturers provide their one software in order to size and design a PV system. Usually they propose solar panel database and worldwide solar and temperature database. All these softwares are free but obviously the inverter database of each is limited to that of the manufacturer. Moreover the quality and accuracy of the calculation is not guaranty and the features of the softwares are limited. Syscalc is the software developped by Mastervolt to size a PV system with Mastervolt inverters. Fast and effective PV system design, can be run locally on any PC with Microsoft Excel installed. No internet connection needed. US Satcon Configurator is a design application to configure SATCON inverters. Available for free, online only, need a registration. The sofware developped by SMA is SUNNY DESIGN. By simply entering some basic system parameters, this free software helps solar installers and system planners visualize possible PV plant designs and select the optimum configuration quickly and easily. Sunny Design offers a user-friendly interface and a practical input wizard for assistance. It also provides data for an economic evaluation of the system along with a technical analysis of the included components. Sunny Design saves solar professionals valuable time and results in a customized PV system for the end user. You can also assess losses in AC and DC cables. 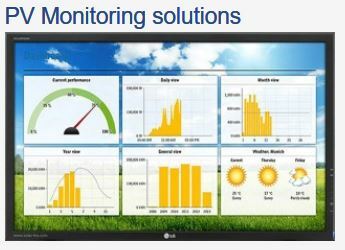 INGECON SUN PLANNER is the online software developped by INGETEAM to size a PV system with Ingeteam inverters. Software for PV Plants dimensioning. Samilpower give the possibility to design a PV systems with Samil Power inverters. The softare includes worldwide raduiation databes. New PVSize 2 software tool is free and easy-to-use system dimensioning and performance prediction tool for photovoltaic (PV) systems using ABB solar inverters (ex POWER-ONE, Aurora inverters). The tool is intended for customers and system designers for finding proper solar array and inverter combination.